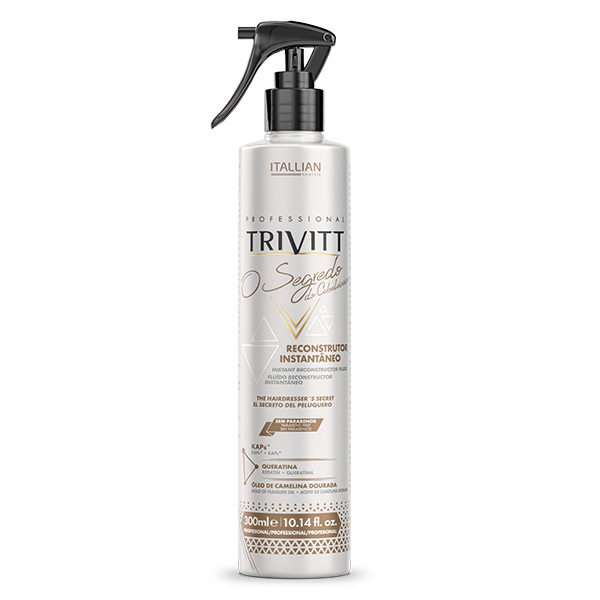 The Hairdresser’s Secret instantly rebuilds the structure of the fragile and damaged hair. Its rich formula in KAPs (Keratin Associated Proteins)* returns to the hair bulkiness, resistance and alignment. Instantly rebuilds fragile and damaged hair. Its formula, rich in KAPs (Keratin Associated with Proteins)*, gives back thickness, resistance and alignment to hair. It’s formulated with a combination of plant-derived amino acids that mimic Low Sulfur KAPs. This combination is surrounded by a polymer network that improves the attachment of the amino acids inside the cortex, replenishing capillary mass and increasing hair fiber’s thickness instantly.